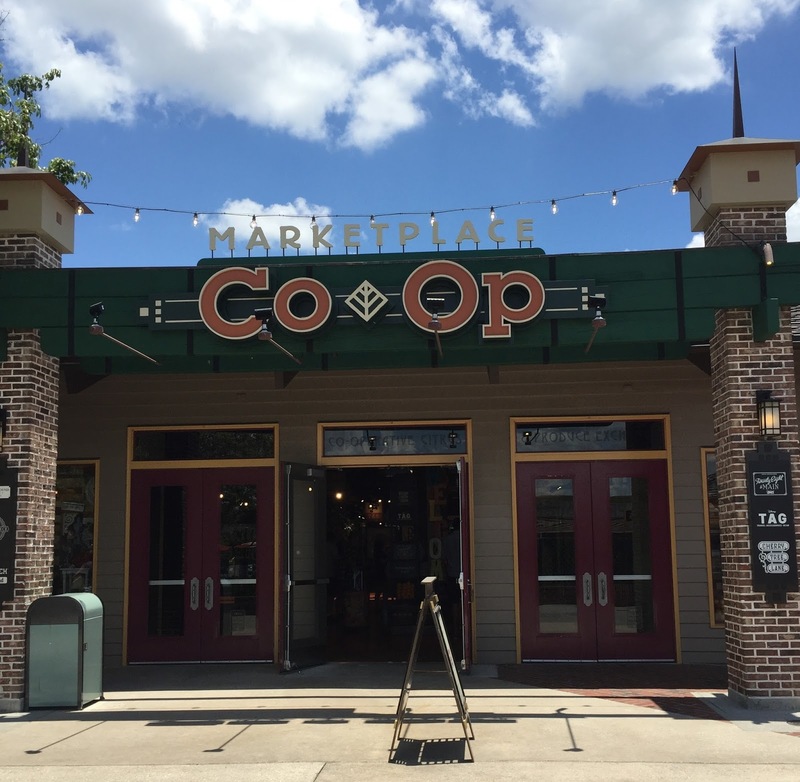 Have you checked out TAG at the Marketplace Co-Op at Disney Springs? 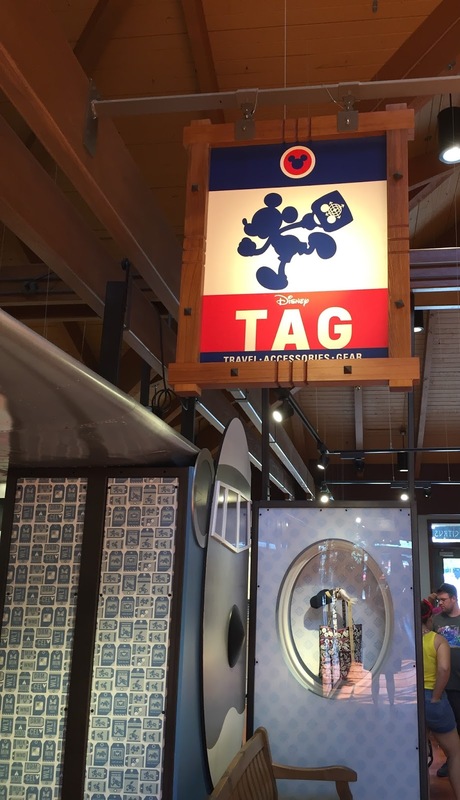 TAG (an acronym for travel-accessories-gear) is the newest shop/stall inside the open- floorplan marketplace. 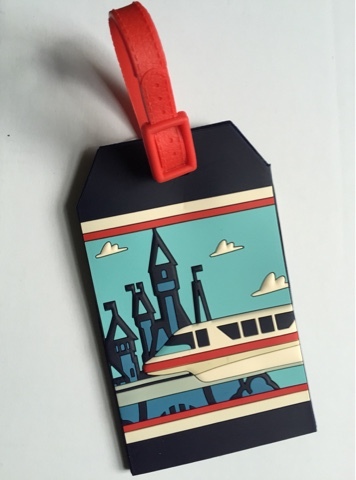 I was really excited about the retro-style travel theme of TAG. I've long been a fan of that retro travel look, perhaps stemming back to having had a father who worked for PAN AM in the Mad Men-era heyday of that brand. I couldn't wait to see what awaited me in this shop. Reminiscent of the PAN AM logo, right? I was at a work conference earlier this year, staying across the street from Disney Springs. TAG was set to open the day after I was leaving town. The store was all ready but was draped in fabric in the middle of the marketplace, barring entrance. That was brutal! 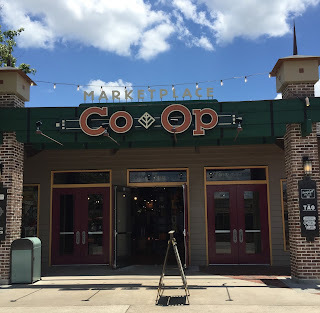 When I found myself back for another work event in June, I knew I had to head over and check it out (along with the other newly-opened areas of Disney Springs). The retro aviation theme was everywhere, including the register station above- designed to look like an airport checkin-in counter, complete with an arrival/departure board. 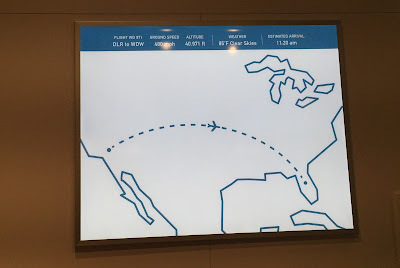 A flight from DLR to WDW? Sign me up! 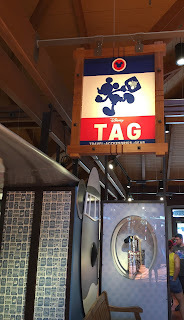 Have you visited TAG at the Co-Op Marketplace? 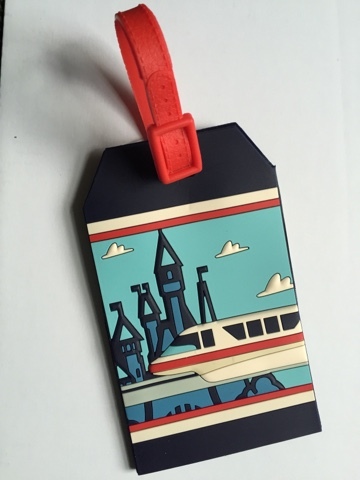 What do you think of this retro travel theme?